England isn't the only country in the UK to be going through reforms in special educational needs. 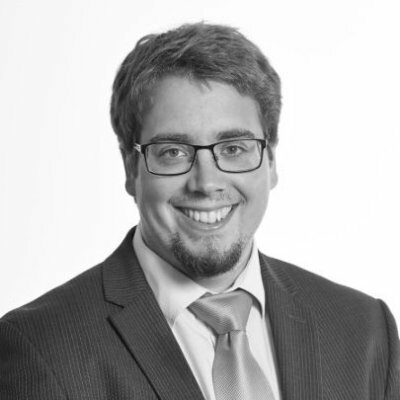 As Cardiff-based SEN specialist solicitor, Ed Duff, of HCB solicitors wrote here a year ago, Wales has been undergoing its own changes to the SEN, or Additional Learning Needs system. Today, Ed, who helps parents across England and Wales, is back with an update of what is now about to become law, how it's being received, and the changes that will follow for children with SEN in the Welsh principality. The Additional Learning Needs and Educational Tribunal Bill has now been approved by Members of the Welsh Assembly. The new bill, which is expected to pass into law later in 2018, will seek to address the growing issues surrounding children with special educational needs (SEN) in Wales. When the Bill becomes law, it will replace the current Welsh system of SEN support. 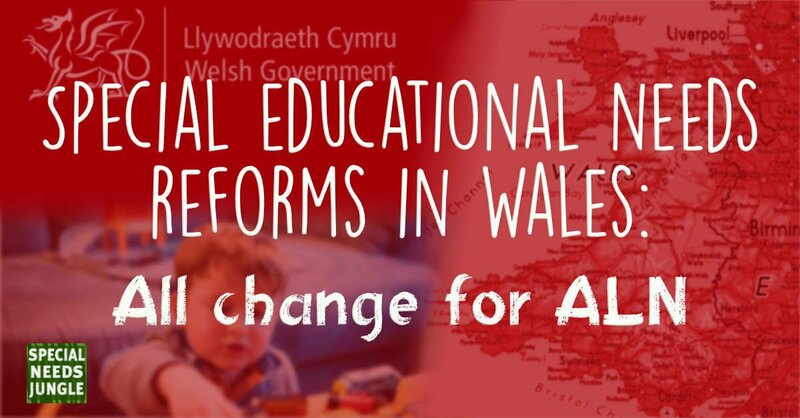 As the Children and Families Act 2014 affected only England, Wales still operates under the Education Act 1996, using the system of Statement of Special Educational Needs. It is that system that will be replaced. By way of recap, I'll just run through the system in Wales before the new Act. Wales currently provides a three-tiered response to children with SEN, namely, School Action, School Action Plus and Statements (as it used to be in England). The first tier, School Action, involved school-based intervention and differentiated teaching. If this is not sufficient, School Action Plus is involved, which brings in external professionals to provide advice and guidance to the school. If the school requires additional resources and /or ongoing specialist intervention for a young person, a Statement of Special Educational Needs would likely be required. Securing a Statement of SEN involves asking the local authority to make an assessment of the child’s needs. The local authority may agree or refuse to assess or, following an assessment, may agree or refuse to make a Statement. If a Statement is issued, it should set out the young person’s needs and the specific special educational provision that they require. The statement does not adequately make provision for your child’s needs. The system of Statements has been subject to a significant amount of scrutiny, primarily, due to the fact that it is rooted in a system nearly 30 years old and has been considered as not being very transparent. The Bill completely overhauls the current legislative framework by providing a new statutory approach for supporting children with learning needs. In a written statement, Minister for Lifelong learning, Alun Davies, said that he is confident the new system proposals under the Additional Learning and Educational Needs Bill, will introduce an inclusive process that will ensure the views of learners and the opinions of parents will be considered throughout. A significant change to the law will be the replacement of the term “Special Educational Needs” with “Additional Learning Needs” (ALN). The current law only applies to individuals up to the age of 19, ALN will be applied within a single legislative framework for all children and young people from birth up to the age of 25, mirroring that in England. Another substantial change is that School Action, School Action Plus and Statements will be replaced by a SINGLE document: the Individual Development Plan (IDP) and will be implemented to replace BOTH the statutory and non-statutory plans which are currently used by local authorities and schools. The method of assessment will also change. Statutory assessments will no longer be used; instead, the school or local authority will have a duty to decide whether a child has ALN and if an IDP will be needed. Under the new system, schools, local authorities and parents will need to work closely together to identify whether a child has ALN. The draft guidelines stipulate that the onus for identifying ALN will vary depending on their current stage of education. In instances where a child is under the compulsory school age, the onus for identifying ALN will be on the parents and other health / social care professionals that work with the child. Parents and relevant professionals will need to ensure that any difficulties faced by the child e.g. significant delays in language functioning should be presented to the local authority. Upon receiving evidence, the local authority will decide whether or not the child has ALN. Furthermore, if a child is under school age, any health bodies must support early identification of ALN. If a health body believes that a child has ALN or shows signs of ALN, they must notify the parents of this opinion. The health body may bring the matter to the attention of the local authority if it believes that doing so would be in the best interest of the child. When a local authority is notified by a health body opinion, it must go on to decide whether or not the child has ALN. If a child is attending a non-maintained school and the parents have concerns that their child might have ALN, then the parents will need to contact the local authority for a determination. As previously discussed, the local authority will then consider the parent's concerns make a decision as to whether a child has ALN. For all pupils of compulsory school age, in a maintained school, the presumption will be that the school identify and assess the child’s ALN. It is recommended by the new ALN Code Of Practice, which is still in draft, that all maintained schools in Wales will need to introduce a 'robust' ALN policy. The ALN policy should clearly outline how pupils with ALN are identified and how they intend to monitor the pupil’s progress. Identification must be supported by evidence e.g. proof of sensory or physical problems. When identifying ALN, schools in the first instance should provide differentiated teaching. If the pupil continues to 'underperform' and progress continues to be less than expected, then the class teacher should work with the Additional Learning Needs coordinator (ALNCo) and governing body to decide whether a pupil has ALN. If ALN has been identified, either the local authority or school will need to develop and maintain an IDP. However, there are certain circumstances in which this does not apply, notably, when the child concerned does not provide any consent to the decision being made. If the school and local authority do not agree that a child has ALN, they must notify child / young person and in the case of a child, the child’s parent, of the decision not to provide an IDP and the reasons behind this decision. If the local authority or school does decide to issue an IDP, they will need to consult all professionals linked to the concerned child to draft a plan that will adequately provide provision for the child / young person. By making the local authorities and schools responsible for identifying ALN and implementing the provisions named in the IDP, it will ensure that they are held directly accountable for the delivery. The Act hopes to achieve a simpler and less adversarial process and will have a preference for disagreement resolution before any formal appeals. As such, if a school refuse to prepare an IDP, the local authority can be asked to reconsider the position. Alternatively, parents may request that the local authority make their own decision as to whether a child has ALN. what it means to exercise the rights conferred on a child by this Part. A notable addition, in 13. above, is that parents can appeal to the SENTW for a declaration that the child does or does not have the mental capacity to understand the information or their rights. The inclusion of mental capacity issues sees the act expand the rights and jurisdiction of the SENTW into areas that England has not yet considered. It will be interesting to see the how the area develops once the bill has been fully implemented and the new code of conduct is issued. There seem to be serious issues with the reforms. The biggest concern is that we still do not have a clear, or finalised, Code of Practice or Regulations to accompany the new legislation. We have written previously, following the Committee stage of the Bill, to explain the concerns about the ALN reforms. There are serious issues with the proposals for assessments of young people. For the majority of learners, the task of assessing additional learning needs will fall on the relevant school. That, in practice, means that all learners with ALN will be supported by what was previously School Action / School Action Plus. The major reason for a learner needing a Statement of Special Educational Needs was to access additional support / funding which the school could not access from its own resources. Deferring the whole process of assessment and support to school seems to run the risk of removing that. A major issue from the EHCP reforms in England has been the lack of consistency. EHCPs look different in every local authority and the process of assessment can also vary. Deferring the process and preparation of IDPs to every individual school is only likely to realise the same issue. Our major concern is that these reforms only serve to place more pressure on already stretched schools. It also means that the relationship between parents and schools may well become strained if schools refuse to agree that a learner has ALN.